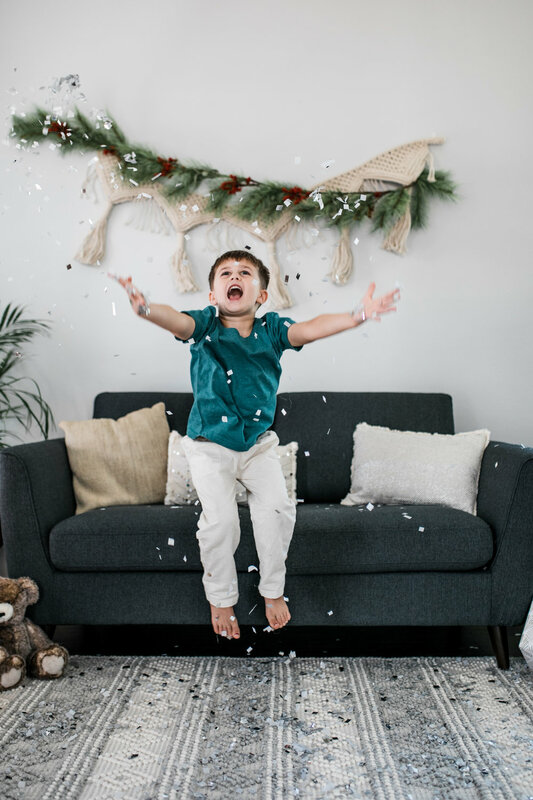 Let’s just get straight to the point- we recently received the photos from our holiday family photo shoot with Emily Choy and they’ve totally surpassed our expectations! And they’re right on time to send out family holiday cards too! Emily’s mother was gracious enough to open up her home and allow us to set up shop in the living room of her new home. We brought in some new furniture pieces and even special holiday décor to create a cozy set up. Every family was utterly adorable and Emily did a fantastic job at capturing each of their unique personalities. Just take a look for yourself! And just remember: these are REAL families, though they’re so photogenic and could be models for a family magazine! Did we mention that we had CONFETTI?! Because who doesn’t love a little extra sparkle? We’ve been anticipating the shoot for awhile now and it didn’t disappoint. We brought our our new sofa for the day so happy families like this one could be comfortable and be their natural selves. Let’s not forget, pets are family too! 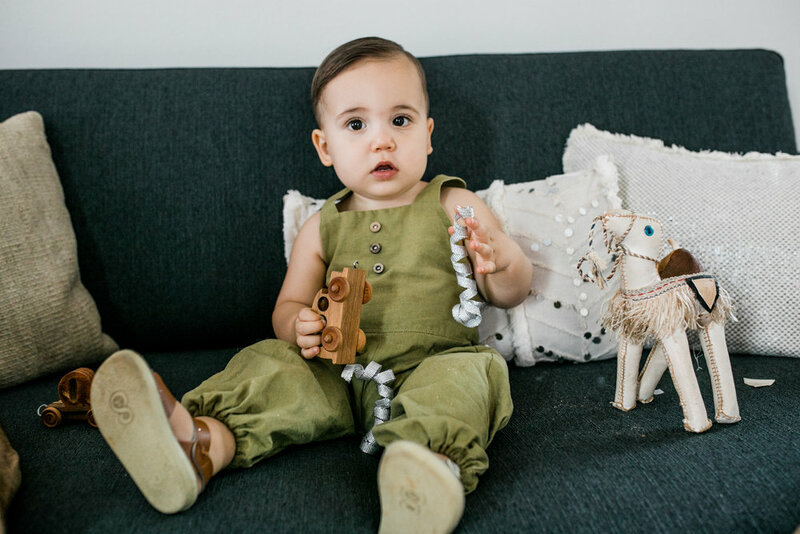 We love how Emily perfectly captured each family’s unique personality and style throughout the shoot. One thing that remained consistent however, was the love and smiles that everyone had for each other! Does your family have a special pose or tradition they like to do? Those are always great to get on camera! It was so much fun seeing all the families enjoying each other’s company—we’re so grateful that they allowed us to help capture special moments like these for them! And might we add, everyone got along so well! There was nothing but smiles the entire day! Moments like these are timeless and we can’t stop looking back on how well everyone’s photos turned out! We hope you enjoyed these highlights as much as we did! Now that Thanksgiving has passed and Christmas is right around the corner, it’s times like these we really realize how blessed we are to have the people we care about besides us. And even if they’re miles away, there’s still so many ways to connect with them! With the new year approaching, it means that there’s so many opportunities to make new memories and we’d love to help you do it in style! Just shoot us an email—we look forward to meeting you!